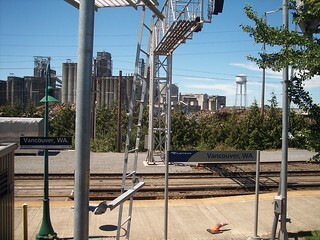 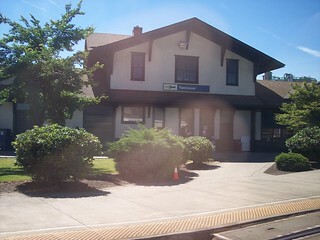 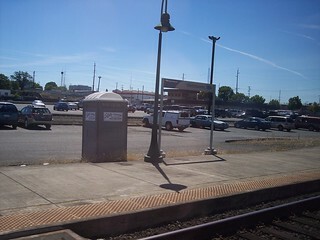 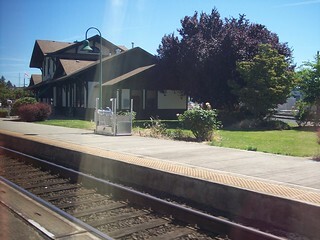 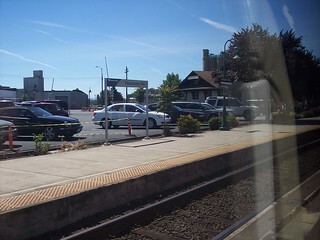 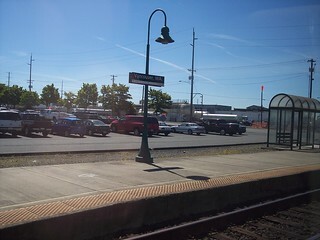 The Vancouver station sits between the tracks that follow the Columbia River east and those that head north to Tacoma and Seattle. 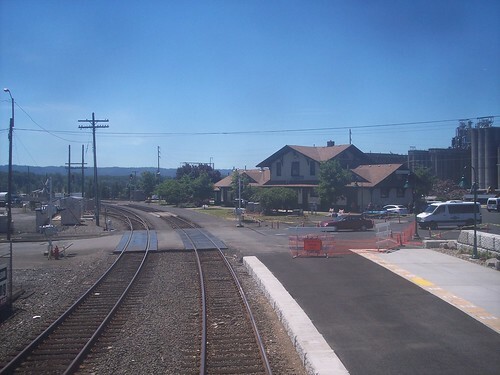 This is the view looking west at the station from the Empire Builder. 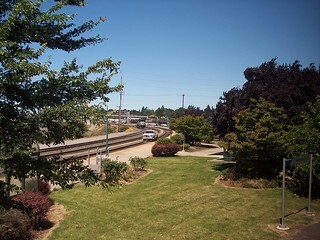 Two views of the station from the Cascades. 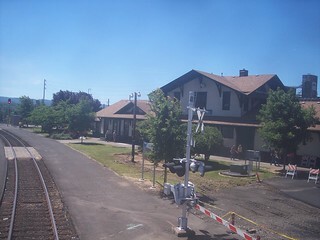 More views of the station from the Empire Builder. 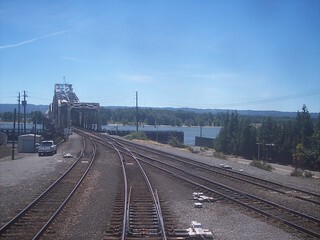 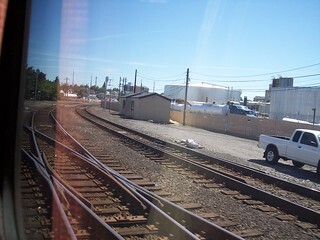 The junction of the two lines as seen from the Empire Builder and the Cascades.